Nov 24, 2016 at 09:24 AM | 104 Views | Last edit Sep 18, 2017 at 09:00 PM 2 rev. 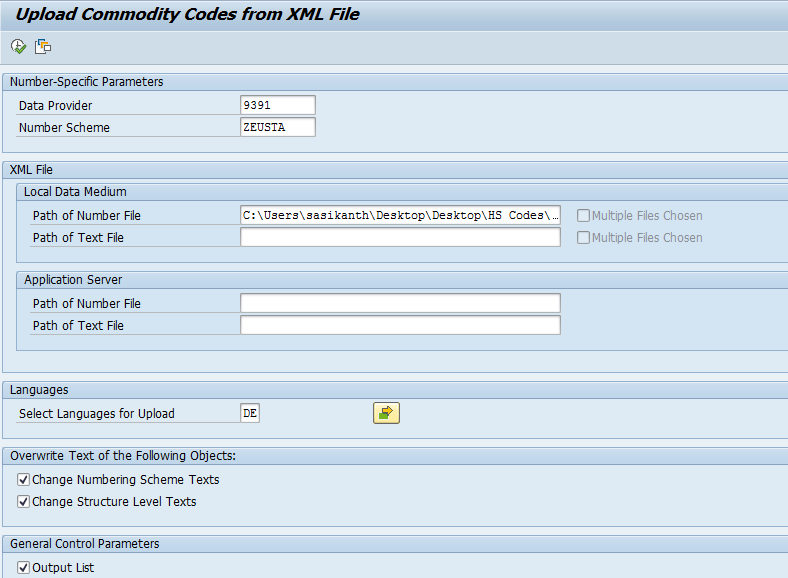 When I am trying to upload the files for commodity codes in SAP GTS getting following error. I checked with data provider they conformed no issue with data and I checked few SAP notes but no use we are using GTS 11.0. Could you please let me know how to resolve this issue. "Consistency error: Number cannot be updated twice"
Wondering if you were able to move past this error and upload further files? We have gotten the same error. Our provider of the data files recommends creating a new commodity code number scheme. This basically is starting over and is not a desirable solution. 3. Upload xml file in simulation mode and then identify the problematic code. 4. Check if any business user manually changed validity begin or validity end date for that commodity code or not. 5. Accordingly, correct the validity period in system and upload xml file again. 6. This issue may happen due to incorrect sequence of xml upload.